A podcast is a series of digital media files (either audio or video) that are released episodically and downloaded through web syndication. The mode of delivery is what differentiates podcasts from other ways of accessing media files over the Internet, such as simple download or streamed webcasts. 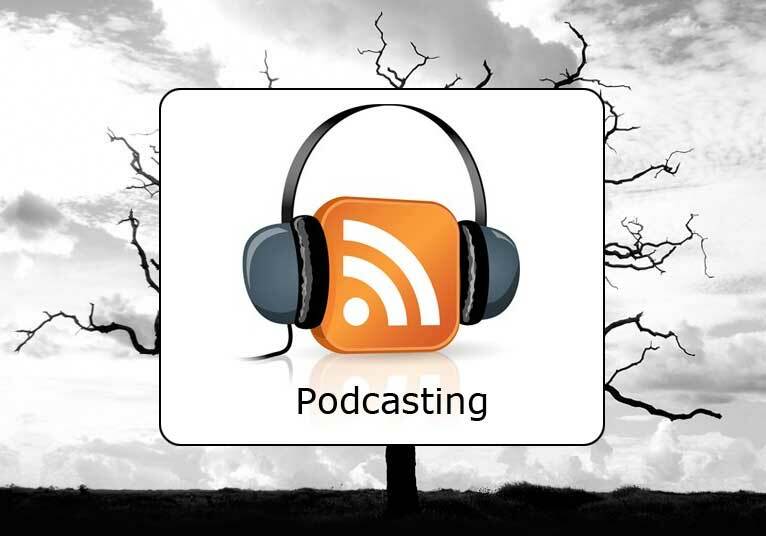 Many people refer to Podcasting as portable on demand casting. It is thought of as an alternative to broadcasting. Podcasting offers portable content that people can watch when they want, on a variety of players. You can listen (audio) or watch (video) at your convenience --- not just when a program is broadcast. You might have a show on "Fly Fishing", "Interviews with musicians and artists", a subject such as backpacking and a walking tour of a hiking trail, etc. One thing you must have is a passion for the subject you are talking about. Arbitron says 11% of all Americans have listened to a Podcast. That translates to 27 million Americans. More than ½ of all Podcasters are under age 35. 37% of Internet users are Podcasters, 73% of teens own an IPod and listen to 4 hours a week. Demographics are 48% Women and 52% Men. You need a web site for your Podcast, a Blog so you can answer questions and find out what questions someone might have on your subject and subscribe to your Podcast. Podcasts are downloaded in the background not streamed. The show is downloaded to an iPod as an example and you watch it at your convenience or on a trip as a guide. You could have a rapid by rapid description of a river trip along with local history. A bicycle tour could be on your iPod with local features and even where to stop to eat restaurant guide. Information could be similar to ENG (Electronic News Gathering), how to (Fly Fishing or Dog Training), Interviews, etc. Episodes are usually from 5 to 7 minutes long. Studies were done and 7 minutes is how long an individual can pay attention before he/she gets interrupted. Episodes can be longer. You can do a show a month or a show a week depending on your subject. Organize your shows and you can video up to 30 shows in a day in a studio setting. You can be a host of a show and interview important individuals in your industry. Podcasts are not for everyone, but this is an exciting new way to promote your passion. It requires a lot of expense in putting together a show. I have recently built a sound booth and studio for video to broadcast in SD (standard definition) with multi cameras. There are some reasons to go HD (high definition) and one is people are now playing Podcasts in their home theaters (there are 60 million home theaters in the US) Another is having your show a segment on a TV show as an example. The technical details about shooting video and editing would take days to explain for this format. Do you have a passion you want to share? Is it unique high quality content? Is it focused and engaging? Does it have entertainment value? Remember it is uncensored so you can say anything you want.